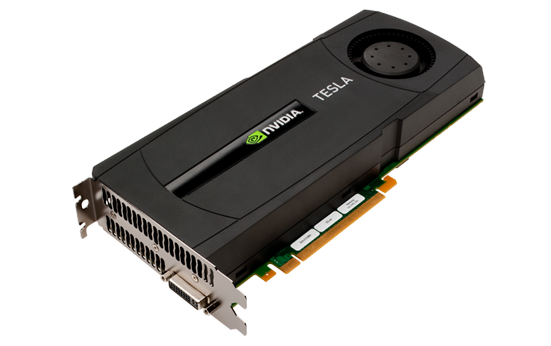 Nvidia Tesla cards are built on Nvidia Quadro Graphic Processing Units. What Tesla offers over current Quadro and GTX models is a truly dedicated processing unit in applications such as Adobe’s CS 6 After Effect and Premiere Pro. The Tesla card offers faster computing times then CPUS and GPUS alike. This allows for the user to render and or compile in a much quicker time then previously experienced. The amount of time saved can be astounding. Prior to installing the C2070 into a Hackintosh I booted into Mac OS X and install Nvidia’s Quadro Retail Drivers for Mac OS X as well as CUDA Driver for Mac OS X. More information on this can be found here. After installing the newly modified DSDT and restarting the card had full Quartz Extreme as well as OpenCL and OpenGL using the one DVI connector located on the card. HDMI audio was enabled as well. The card easily handled every application loaded with ease. Some applications such as Adobe CS6 must be modified to see non standard cards. Read more here. This entry was posted in Graphics, Tesla and tagged Hackintosh, Nvidia, Tesla. Bookmark the permalink. I have well over 20 users that have asked about it. This is useful and this is helpful and just because you are not in a industry that needs Tesla card support does not mean others do not need it. Your comment is insensitive in my opinion.